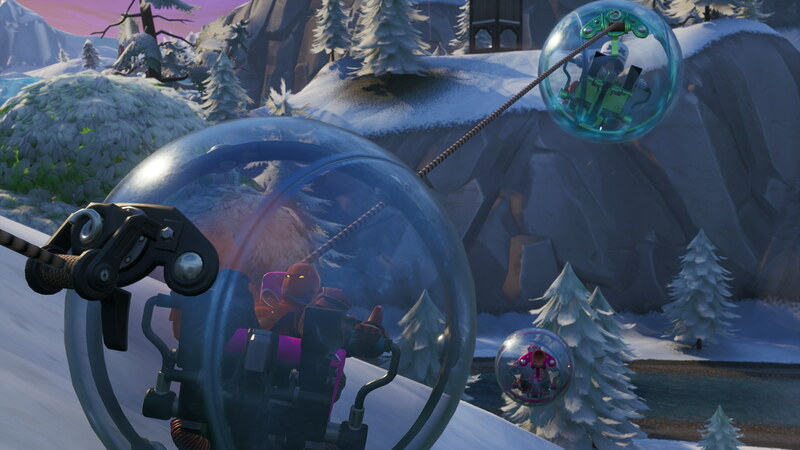 Delightfully daft new orb vehicles are now rolling around Fortnite Battle Royale, big hamster ball-looking rollies complete with a grappling gun to swing around. I honestly couldn’t tell you if this new ‘Baller’ vehicle is good because I, and everyone else I saw in one, was too busy larking about to play seriously. Which is certainly enough for me. Today’s update also changed the rarely-used in-game vending machines to one decent-ish item–but only one, ever–for free. But mostly it’s about the rolling. 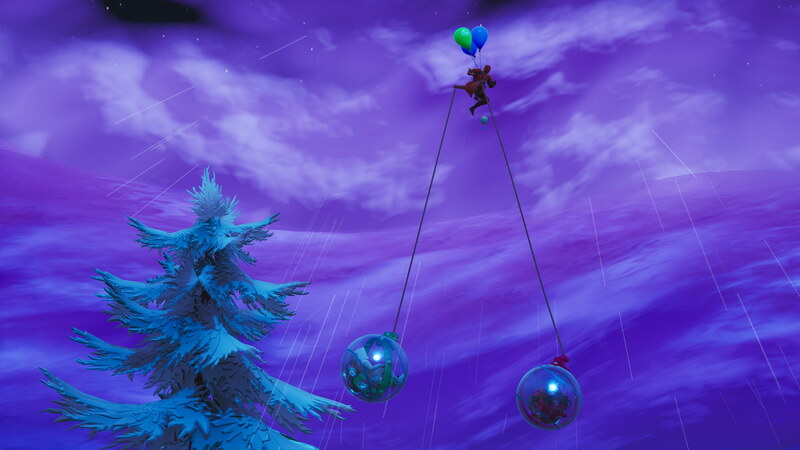 Found at expedition camps and around pirate camp stashes (usually several in one place, from what I’ve seen), the Baller is pretty agile, blessed with a turbo boost, unlimited grappling lines, and no chance of flipping over. The orb completely encases us so we can’t be shot while driving, though the vehicle only has 300 health and is a large target. Also, it’s foolish. Whether you want to swing around like Overwatch’s hamster friend Wrecking Ball, go recklessly off-piste like in a Jurassic World ‘Gyrosphere’, have a tenuous excuse to sing Limp Bizkit and Skee-Lo at your pals on Discord, or engage in tethering foolishness like Just Cause, the Baller has you covered. It can get silly when you have a gang of zorbers, latching onto each other and boosting around for wacky physics consequences or just dangling from your pal who’s holding a couple balloons. As for vending machines, yup, they’re now a welcome sight. Each vending machine will dispense only one item before exploding, but that item will be free rather than charging resources. Vending machines also now won’t offer Common or Uncommon items, only rare or above. So they’re basically chests with a little more promise? See the Fortnite version 8.10 patch notes for more.